If you’re looking for the latest news and reviews on all things in the movie industry, IndieWire is one of the heavy-hitters on the web. They provide insight and coverage on everything coming out of Hollywood. They just needed a good website to put it all on. 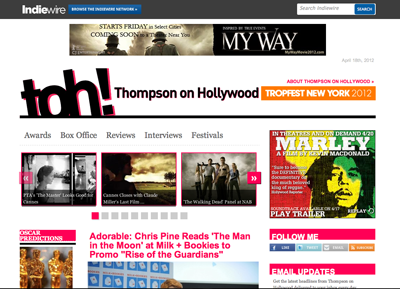 I worked with my friends at Modern Tribe again to design a new IndieWire.com from the ground up. The content you can drill down through on this site is just stunning. Not only did we have to design for all of it, we had to make sure visitors wouldn’t get confused while they were moving from story to gallery to review. We spent hours wireframing the best way to tell each section’s story. On some websites the sidebar widgets are an afterthought, thrown in to take up space. 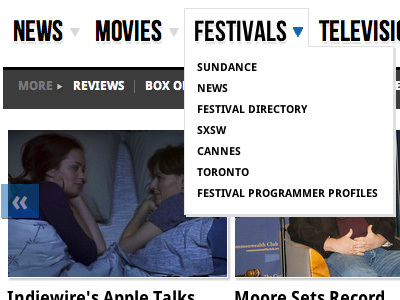 Not so on IndieWire. Each widget throughout the site offers fresh content, relevant links, and standalone info about current movies. We wanted to make sure the user understood this too. Careful consideration was given to make each widget appealing, easy to understand, and part of an integrated whole while it offered it’s own unique message. But IndiWire.com isn’t the only part of this project. 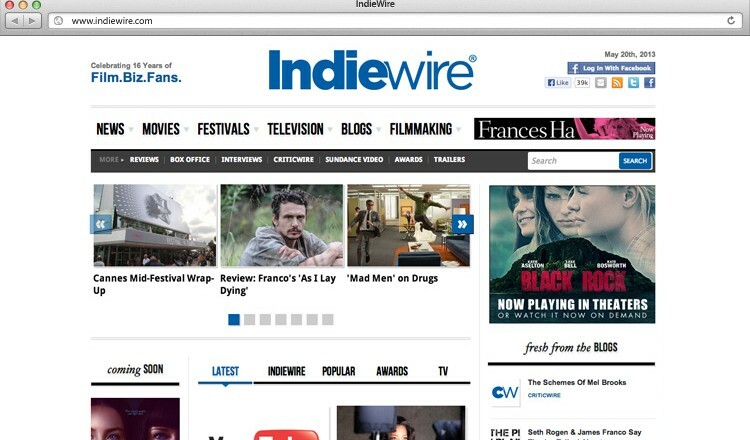 The site features a huge network of other blogs and sites that feed into IndieWire. One of the problems we solved was unifying all these sites into a more cohesive network. We created a number of corresponding design template so that each network could choose a similar look, while getting options for making their own site unique. The new design didn’t go unnoticed. In 2012 IndieWire won a Webby Award (the Oscars of the web). Read about the honor here.